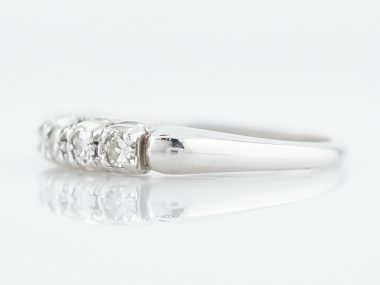 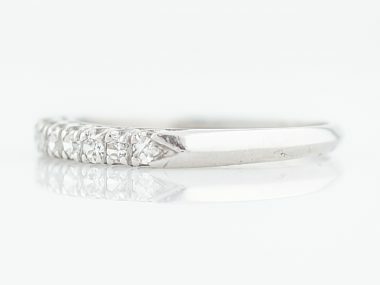 This antique Art Deco wedding band showcases the recognizable angles and style of the time period. 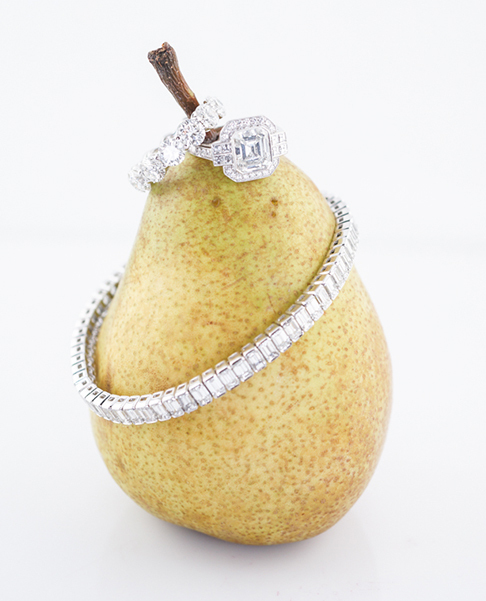 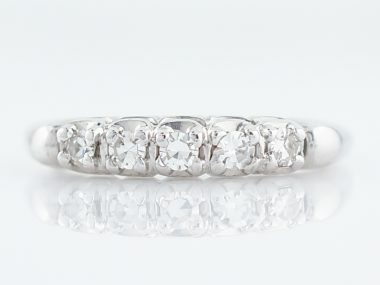 The band is made of 18k white gold and is set with .08 carats of single cut diamonds. 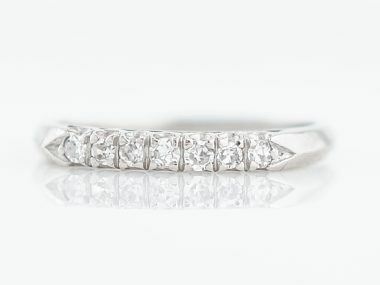 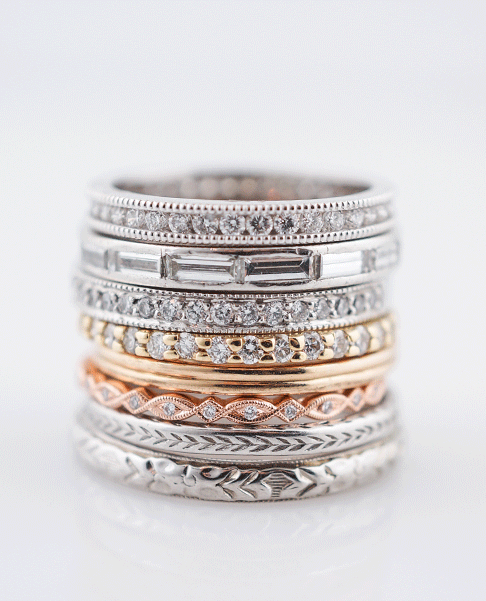 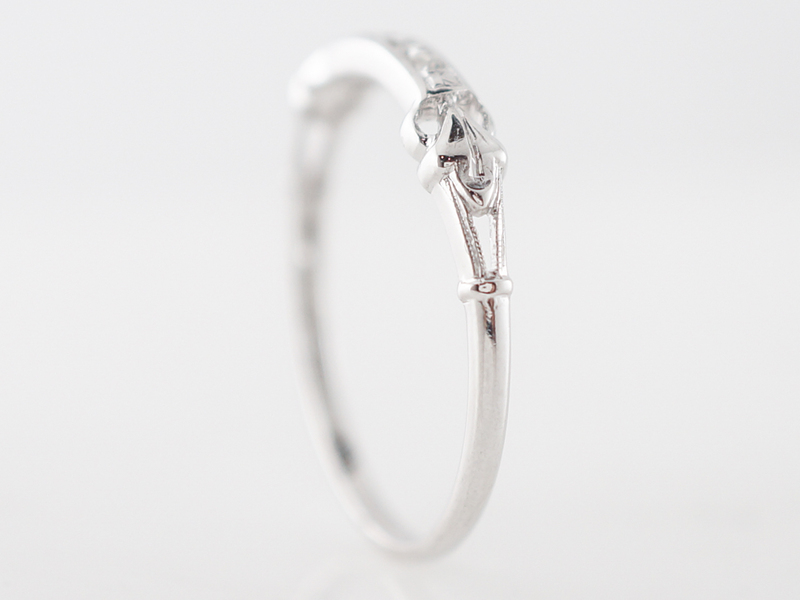 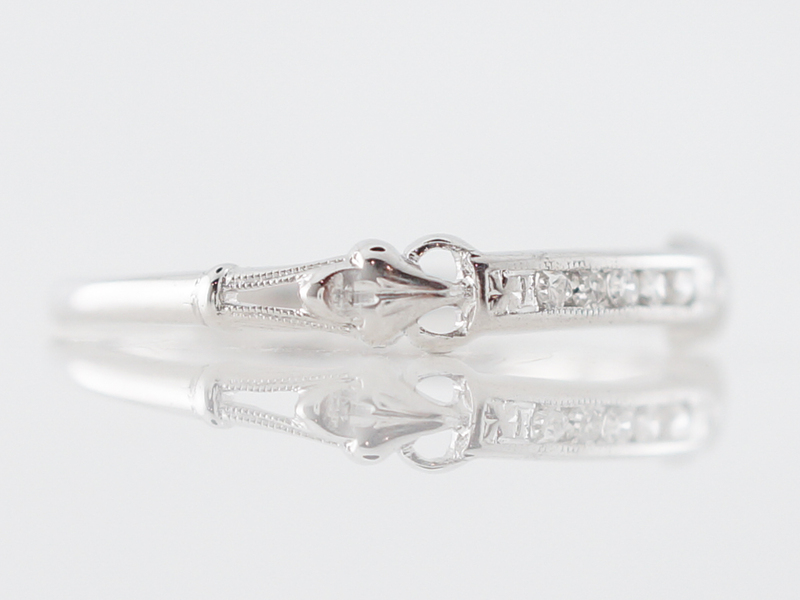 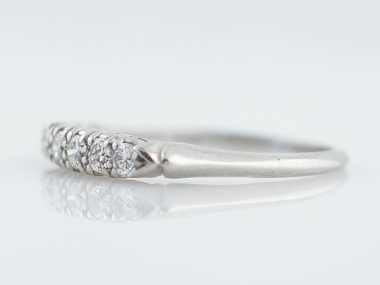 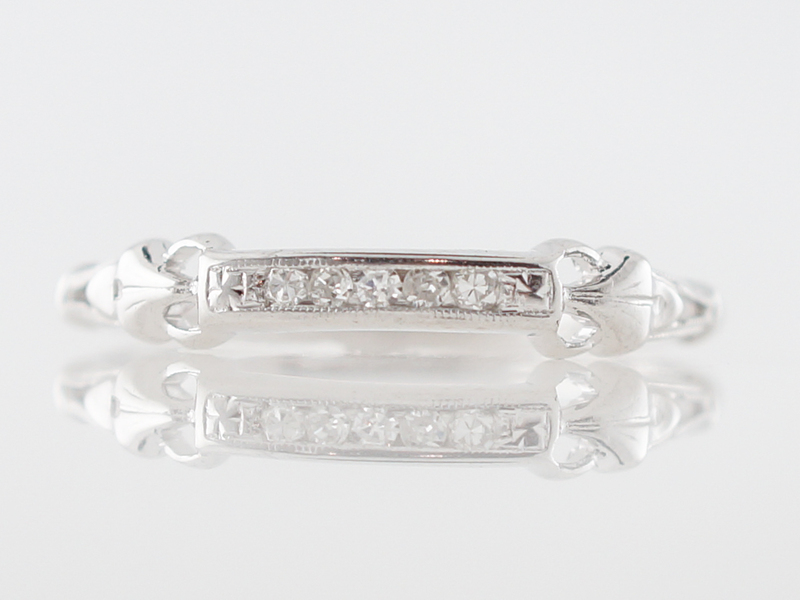 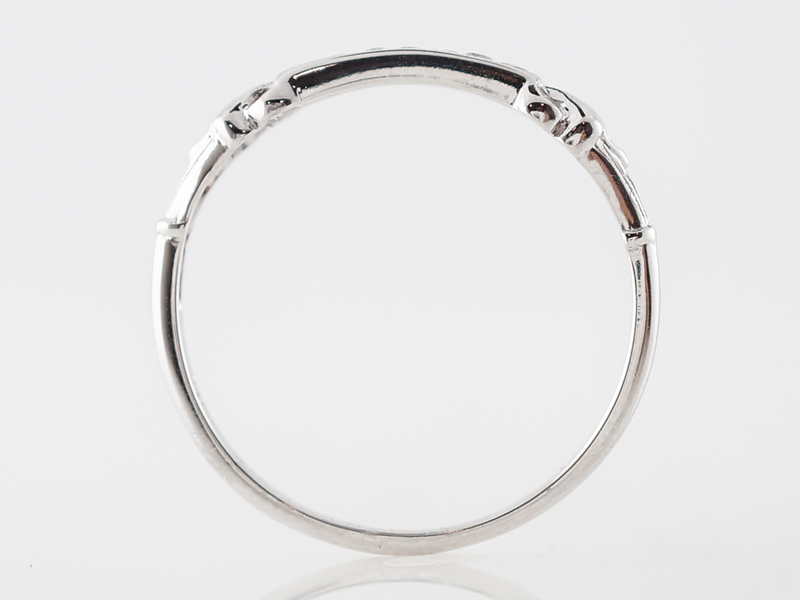 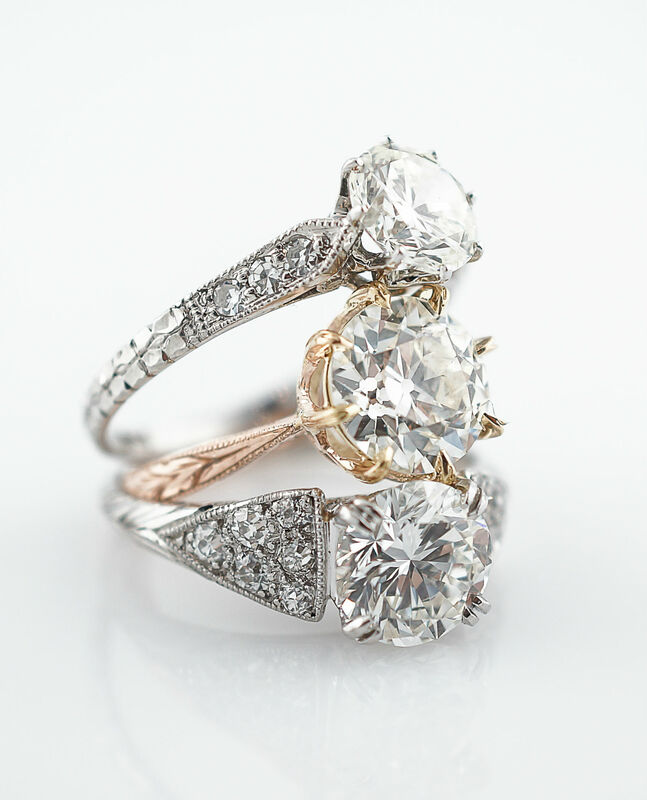 A truly lovely band with just the right amount of antique charm.